(The Havre Herald) The Little Shell Band of the Chippewa Indians has been fighting for federal recognition since the 1930s without luck. The tribe came the closest to winning federal approval in 2018, but it failed on the last day of the U.S. Senate’s session. But Montana’s Congressional delegation is determined that this session will be a success for the cause. Sen. Jon Tester, D-Mont., and Sen. Steve Daines, R-Mont., put aside their political differences on Tuesday to introduce legislation to give the Little Shell formal recognition. They were followed on Wednesday by Rep. Greg Gianforte, R-Mont., who introduced similar legislation in the House of Representatives. “I am confident that his (Gianforte’s) persistence will result in the long-awaited passage and enactment into law of the Little Shell Restoration Act,” said Gerald Gray, chairman of the Little Shell Tribe in a statement released by Gianforte office. 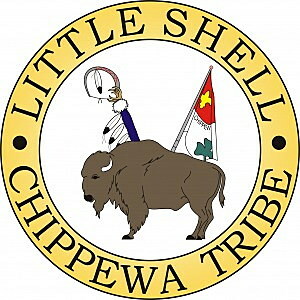 Gray was unavailable for further comment on Wednesday.Tribal designations such as this are usually made by the U.S. Bureau of Indian Affairs, but after years of study the bureau rejected the Little Shell’s application in 2011. The bureau said that through the years, the Little Shell had become part of other tribes and the mainstream European communities. The Little Shell appealed to Congress, which had already begun action to approve the Little Shell request. When Tester took his seat in the Senate in 2007, the first bill he introduced was the Little Shell recognition. Other lawmakers followed suit. The closest it came to passing was in 2018 when it cleared the committees and was brought to the floor on the last day of the session. But according to Senate rules it needed unanimous consent to pass, and Sen. Mike Lee, R-Utah, objected, citing the BIA’s objection. The tribe has about 3,500 enrolled members. They are spread out over the United States, but are mostly concentrated in Montana. There are especially concentrated in Great Falls and in Havre and the Hi-Line. The State of Montana has already recognized the tribe but most of the benefits accorded to tribes are administered by the federal government. If Congress approves and President Donald Trump signs the bill, the tribal members would be entitled to many benefits given to other tribes, including health care. The tribe would not automatically get a reservation to call its homeland, but it would open the door to the possibility if that’s what the tribe wants.